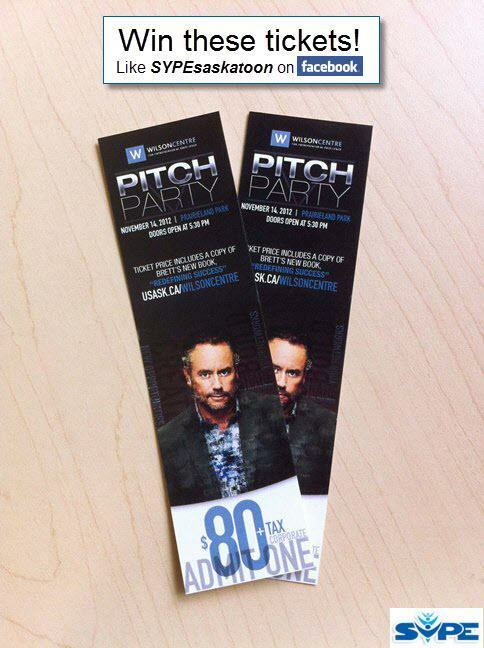 I had the fortunate luck as to win the tickets that SYPE Saskatoon was giving away to the Pitch Party. I'm not usually the "lucky" type, even after finding a 5 leaf clover at our families farm and a 6 leaf at Waskesui, both of which I had checked by a few biologists and botanists at the Saskatoon Nature Society to make sure they were infact clover. Surprisingly they can have up to 9 leaves, the more leaves the more wealthy you are to become...I'm still being patient lol My fiance and I are both business owners so we had a blast networking and meeting like minded individuals. My fiance owns F5 Innovations Inc, it was named F5 because we are a family of 5. Didn't really know what to expect but the expectations I had were more than surpassed. I especially loved the art board, tho didn't get a chance to add to it myself. Without a doubt I will be purchasing tickets to these events in the future, anyone with a new or existing business should. When I studied business and fine art in school the Wilson Center was non existent, infact I believe it was created in 2007 which was the year after my last of my 7. I may have continued on my education if there had been, then again I was quite happy to take a break from studying at the time. I do miss it, and have pondered taking a few more classes for interests sake. When I'm 60 I'm going to take up the university on the free classes they offer any senior citizen, until than I'll keep reading texts as a hobby. At the pitch party we were provided with Brett's new book; Redefining Success. So far I'm about 115 pages in and very excited to read the remaining as it keeps getting harder to put down. I enjoyed him very much on Dragons Den, I still have not caught the new show Risky Business but always mean to but my Sasktel DTVR seems to record something else instead....because of this I have a love hate relationship with technology when it dosnt work as planned. That goes back again to my previous statement that I'm not usually the "lucky" type, infact I think thats how I adapted to plan for the worst or at least things to go a bit wrong, and then it turns out successful due to the preemptive preparation. In just a few days Ive already gotten calls and can see how its helped my business from attending and the networking alone has paid off with the little time invested that was so much fun. Thanks SYPE we really had a blast.